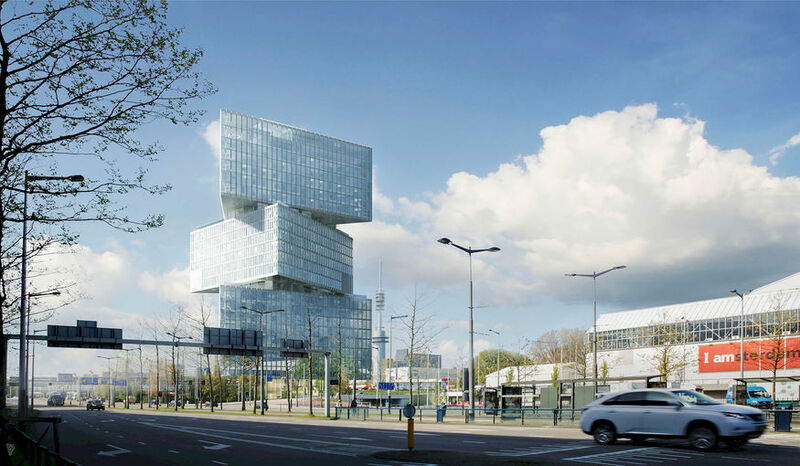 Integrated Systems Events (ISE 2019) and RAI Amsterdam are combining forces to produce an exciting projection mapping display onto the façade of the brand new nhow Amsterdam RAI hotel, adjacent to the exhibition and conference centre. Specially created content will be projected onto the nhow Amsterdam RAI Hotel from 3 to 8 PM each day throughout the week of the ISE show. The projection mapping showcase will be delivered by ISE 2019 Technology Partner Green Hippo, working alongside hire and production experts LANG. ISE Technology Partner Panasonic is supplying the projectors. The daily display will demonstrate the latest in projection mapping technology and include live feeds from the ISE show floor. Content for the presentation is being created by 3D-mapping specialist Tenfeet working in collaboration with Green Hippo. This content will be focused on the concept of diversity as well as on the construction and design inspiration behind the nhow hotel, showcasing popular media manipulation and projection techniques. Mike Blackman, Managing Director of Integrated Systems Events, commented: "This unique showcase brings together the elements that make ISE such a special occasion - the harnessing of state-of-the-art technology with some of the world’s finest creative minds and production experts to creative a unique, immersive experience. It’s an exciting addition to ISE 2019." Paul Riemens, CEO RAI Amsterdam, commented:"We are delighted to support this exciting initiative at ISE 2019 together with Being Development, COD, nhow and Pleijsier Bouw. The new nhow Amsterdam RAI will be the canvas for the ISE showcase and is a welcome addition to the ‘RAI family’ to further enhance the experience of exhibition attendees visiting RAI Amsterdam. This is a fantastic way to introduce the nhow Amsterdam RAI to the city and a prime example of ‘connecting’."